The fall months are beloved by many for plenty of reasons: pleasant temperatures, festive food, football games, and comfy clothes. But for your home maintenance needs, it is a season of transition. There’s much to be done to prepare the entire house and yard before the harsh winter sets in. Tackle these chores during half-time or on lazy Sunday afternoons. You’ll be glad you did when the snow falls and the wind howls come January. If you have a yard, give yourself an excess of time to take care of these necessary tasks; there’s plenty to do. Vegetation requires a checkup. Trim any branches that could damage the exterior of the house. Long branches also provide a highway into your attic for animals looking for shelter and warmth. Vulnerable trees and bushes demand a layer of mulch to survive cold winters. Lawns are gorgeous in the summer if they’ve been tended to in the fall. Maintenance includes aeration, fertilizer, and mulching with a light layer of fallen leaves. Decorative planting is a signature of the fall season. After plants bid adieu, clean and store pots and containers for next year. 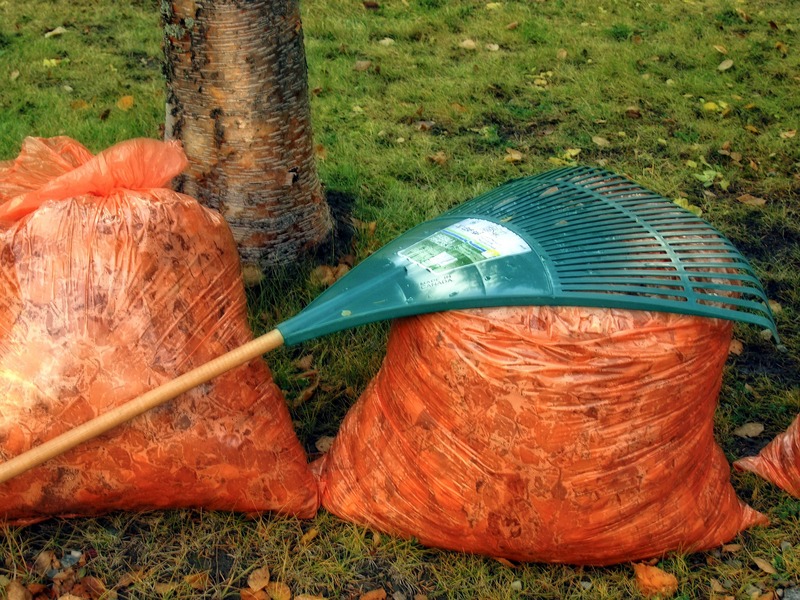 Dispose of any remaining spring and summer garden debris. For the best planting next season, it's best to start with clean soil. At the end of fall, pack up hoses and garden tools. It’s also a great time to insulate hose bibs and drain the last bit of water. The same goes for sprinkler systems. Any frozen water in the lines has potential to burst. Repair, clean, and cover patio and deck furniture. It’s even better to store them inside a garage or basement. The structure of the house calls for attention, too. Programmable exterior lights provide an extra layer of security during dark hours and save on energy costs. Stand-alone and window unit air conditioners require protection for the elements. To avoid rodents and insects entering the home, inspect the foundation and roof lines for access points. Empty gutters are the best defense from a myriad of problems. Ice dams, flooding, and foundation disintegration are potential money pits. Removing leaves twice during the fall is better than once. A few adjustments inside the home will alleviate drafts, save on energy bills, and welcome guests. With daylight savings comes the twice a year check and battery change for smoke and carbon monoxide detectors. Window and door efficiency is improved with various types of weather stripping products. Your heating systems need a yearly inspection to prevent outages and high heat bills. 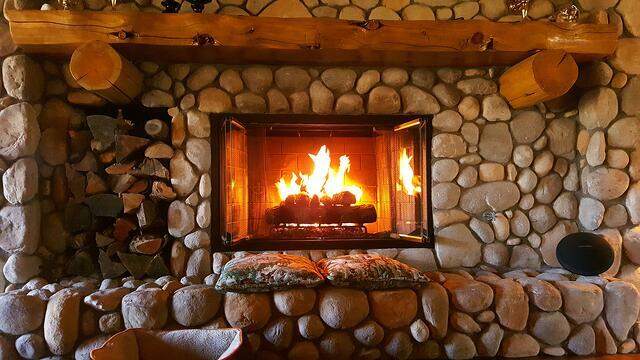 The fireplace isn’t the best way to heat the home, but the allure of a roaring fire is too hard to resist. Contact a professional sweep to make sure it’s clean and in working order. The bathrooms will be used more frequently during the entertaining season. Fix running toilets and leaky faucets to avoid any embarrassing situations. The oven is probably going to get a workout this fall. A deep clean in the beginning assures spot cleaning gets you through to the spring. 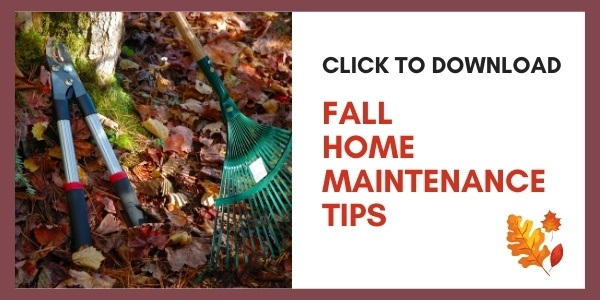 With so much to look forward to during the fall months, get a head start and begin to check off these maintenance tasks early. You’ll be so happy you did when you’re relaxing in front of the fireplace with cheerful coffee drink in hand! Main Photo by Jakob Owens on Unsplash.